Our Suite & Golf Package gives you the opportunity to play two of Arizona's premier golf courses. 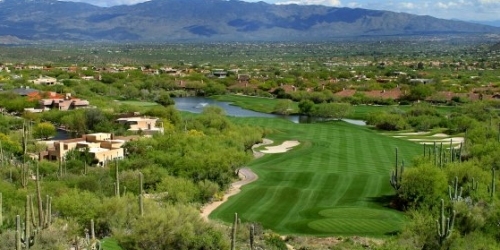 Designed by Tom Fazio, each course in Ventana Canyon offers enjoyment and challenges for golfers of all levels. In addition, you will enjoy nightly accommodations at The Lodge at Ventana Canyon. An all-suite resort in the Catalina Foothills of Tucson, Arizona. Come find out why we are Tucson Arizona's Premiere Golf and Lodging Experience. Complimentary golf bag storage while staying at The Lodge. When calling 520-577-4092, please mention you saw this golf package on GolfTrips.com and mention promo code: ArizonaGolfer.com. The Lodge at Ventana Canyon reserves the right to change price and offer at anytime. Prices and offer are subject to change without notice. GolfTrips.com is not responsible for errors posted in this golf package.